MY RECENT TRIP TO MARS « THE BRYCE IS RIGHT! – My preliminary notes on the red planet. I want to tell you about my recent trip to Mars. Actually, this is just my initial sketch as I hope to write much more in the coming weeks. Control Freekus – these were small people who smelled of cabbage and directed the work of others. Back home we call them “micromanagers” or “helicopter parents” and I suspect this species must be somehow related as they were just as obnoxious. No decision is made without the Control Freekus’ stamp of approval and if anything goes wrong, the Freekus’ has the uncanny ability to blame others. Automobilus Drivius Crazius – there weren’t too many vehicles there, mostly roving robots who seemed to move at a snail’s pace. Despite my best efforts, I had trouble avoiding them as they all seemed to be texting and talking on cell phones (although I’m not too sure who they were talking to, and neither did they). They were incredibly irritating as I couldn’t seem to avoid them. Politicius Maximus Ignoramius – they appeared to have a rudimentary government system in place. The politicians seemed to be hyperactive. They run around a lot, snapping up photo opportunities, and spinning their political diatribe to anyone within earshot. It seemed they would promise the inhabitants anything, but offered no means to pay for it. Very strange. I got the odd feeling they were past masters at rearranging the deck chairs on the Titanic. Homo Sappian Assholeus – which is a term I invented to refer to the inhabitants. Interestingly, half were quite productive, worked hard, and enjoyed life, while the other half were shiftless, lazy and wouldn’t assume responsibility for their actions. It seems the Politicius Maximus Ignoramius concentrated their attention on this latter segment of society as they promised them a litany of entitlements. However, the workers segment appeared to be growing tired of supporting the other half. I’m sorry I can’t give you more just yet, but these are my initial observations. I took lots of notes while I was there which I am still sifting through. I hope to write something more meaningful soon. Stay tuned. Yes, I felt quite at home on Mars. Or was it the District of Columbia? This entry was posted on January 10, 2014 at 6:00 am	and is filed under Politics. Tagged: Florida, MY RECENT TRIP TO MARS, palm harbor, The Bryce is Right, tim bryce. You can follow any responses to this entry through the RSS 2.0 feed. You can leave a response, or trackback from your own site. THIS IS A GREAT ONE!!!!!!! “I have used and heard the term assholious in the past. Obviously travel to Mars has already happened. As a matter of fact in my past, when recovering from a serious hangover, I knew I had visited the Red Planet. 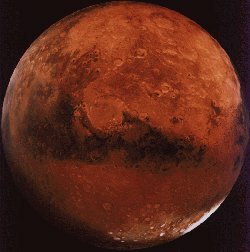 “The Museum of Natural History had a recreated trip to Mars in the Planetarium. There is one point where they make you feel as if the ship you’re on actually touches down on the planet and it is quite a stunning sight as you gaze around at the surface of Mars. They recreate this by using actual photos taken from the surface of Mars. THAT IS FANTASTIC!!!!!!! I NEEDED A GOOD LAUGH ABOUT NOW.THANKS.